At one time or another, many members of the workforce will experience the unpleasant reality of being fired. Though it may come cloaked in terms like “let go,” “moving on,” and “reducing our workforce,” the sting of being fired is nearly always the same. No one wants to be fired, and even being let go from a job you disliked can be a painful experience. Yet, the hallmark of a wise individual is their ability to take the negative and extract the positive. Though it may not seem like it at the time, getting fired can actually be a true gift, providing you with valuable lessons and a new perspective going forward. For whatever reason, should the unexpected and unpleasant happen to you, here’s what you can learn from getting fired. 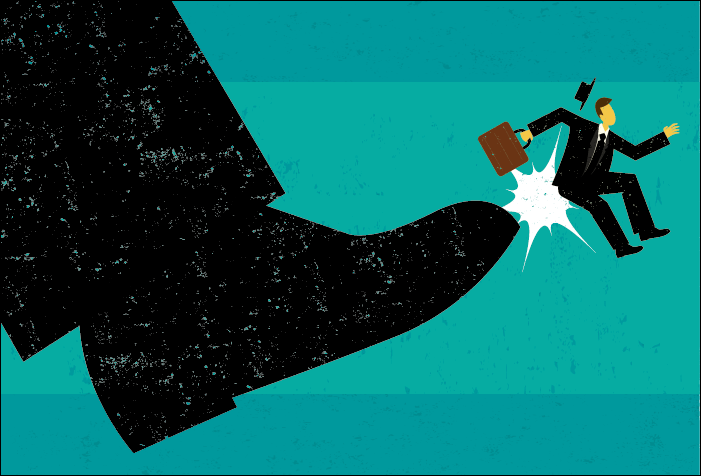 It can be difficult not to take your job termination personally. Sometimes, it is apparent exactly what went wrong and what lead to the decision. Other times, it’s less obvious, and may not even correlate directly to a specific cause. Yet, it is important to recognise that firing is not personal. You are not your job, and even if a mistake or personal decision lead to your termination, the outcome is not necessarily reflective of you as a person. It’s important to realise that getting fired is not the end of the world, and it’s not the end of your career. There will be other positions at other companies, and further opportunities to pursue your goals. Yet it is important to take time to reflect and allow your firing to bestow you with vital lessons about yourself. You may need to be honest with yourself and admit that you could have worked harder or been more dedicated to the role. You may need to accept that you made an error that could not be ignored or corrected. Understanding your role in the firing is an important step toward moving on. But much of the time, getting fired occurs with no apparent rhyme or reason. In such cases, it is important not to spend too much time wondering “what went wrong,” but instead focus on how you yourself can perform better in the future. Getting fired is often a blessing, as it may reveal dissatisfaction with your current job that you didn’t even realise you had. It’s a chance to move on and obtain a new role that is a better fit with your goals, skills, and interests. When you’ve been fired, it’s a perfect opportunity to reflect on what worked with your former employer and what didn’t. What did you enjoy about the job or the workplace? What was a challenge to deal with? How could your next position be better? These lessons can offer valuable insight going forward, helping you to better align your job search to meet your needs. And by doing this, you’re more likely to find those employers who want to hire you, too. Not only goes getting fired afford you an opportunity to reassess your career aims, but it gives you a chance to refocus on what matters. Perhaps your termination came about as a result of personal burnout. Were you no longer invested in the job and therefore not giving your best effort? Recognising this allows you to delve deeper and see what it was about the job (or even the industry) that no longer matches your personal goals. Maybe you were fired for a reason unrelated to your work performance. Even so, this could be a wakeup call that you’re not devoting enough time to your family or to your health. Often, getting let go is a blessing that illuminates what is truly important in life, and supplying an opportunity to change things and find a new position that fits with your realigned priorities. Are you seeking a fresh new role? Perhaps you’re contemplating a major career change following a termination or company “downsizing.” We can help. On Line Recruitment and Labour Hire are your local employment experts with years of experience partnering great employers with outstanding candidates. If you’re a jobseeker, we’d love to assist you with our outstanding free services. Get in touch today for more details.